Back in the 70’s so many Black Brothers were encouraged by John Shaft to purchased John Shaft Full-Length Leathers Coats. Yet our black communities didn’t own the cows nor the manufacturing plants to make those coats. So massive amounts of black dollars were shifted into those white department stores and apparel manufacturers. 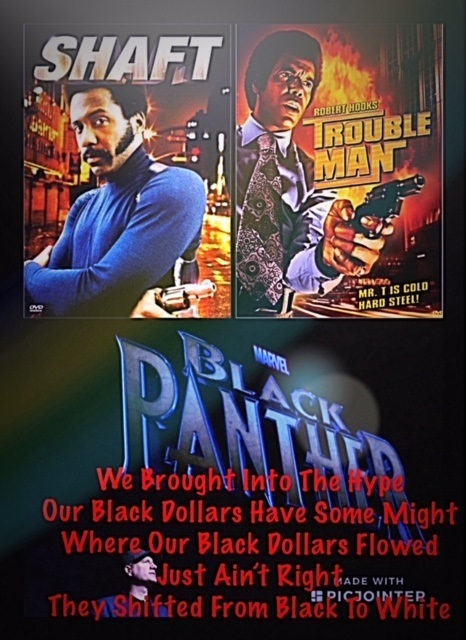 The movie Trouble Man set an urban trend everyone wanted to be Mr. T or Mrs. T but where exactly did our all Black Dollars end up? Yup, right back into the hands of The Man, as he was termed back in the day. Shaft and Mr, T were both larger than life on-screen characters that were trendsetters and super duper negroes. They were replete with styled afros and outrageous outfits. Outfits that were eventually marketed to our communities. Issac Hayes, on Shaft, and Marvin Gaye, on Trouble Man, were paid to sing on the movie's soundtrack and the dollars made flowed out of our communities like cheap gin. Yet our black communities never really got to engage in the win. 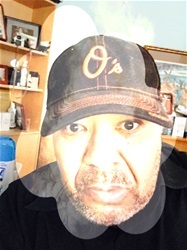 As usual, our black dollars disappeared into a cycle that never turned backward. It was always from my hand to somewhere else. Now The Black Panther is on scene we’ll all in our black communities thrilled to see so many of our brothers and sisters on the big screen. Yet, just like the 1970's the white economic machine is set to gobble up our black dollars as again they will flow out of our communities like cheap gin. We still manufacturing the marketing elements tied to this movie. So our black communities continue to be driving that one road highway to wealth reduction. Black communities continue to be trendsetters but we also continue to not be rewarded for setting those trends. So enjoy the movie but let's not continue to buy into the media's hype machine. You see we don't own the media either.